September already?! The time has just flown by recently, and I wanted to do a quick update about products I really enjoyed in August. I’ve also been experimenting with gluten free baking and cooking – recipes to follow! 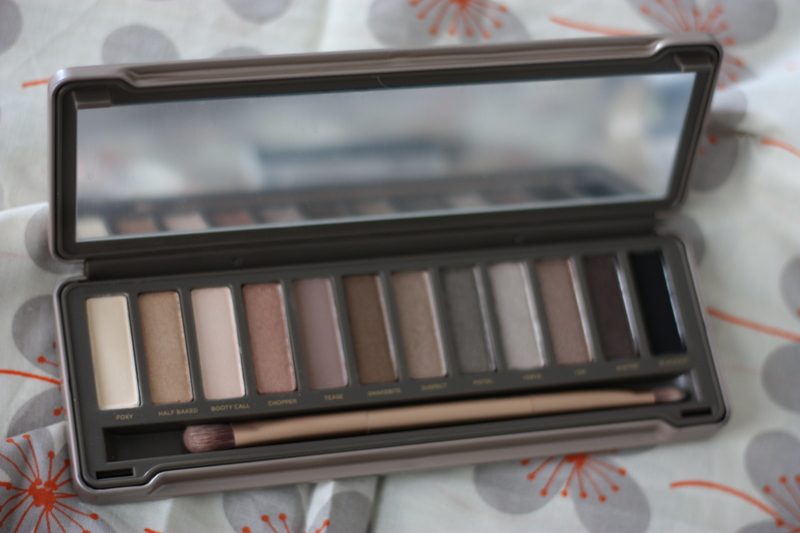 My sister went to visit my mom in New York earlier this month, and I got brought home a Naked 2 palette which I’ve been coveting for ages. The colours are perfect for blending, and I’ve been a fan of Urban Decay eyeshadow for ages (anyone else remember the early noughties midnight cowboy craze?) so I am absolutely over the moon with this! I’ve also been accumulating more Lush products. This toner might be the best one I’ve ever used: my skin has never looked better and it feels so refreshing (and smells great, too!). I’ve been looking for a sunscreen lotion that doesn’t end up looking too cake-y, or like something out of Memoirs of a Geisha under makeup, and this might be it. It’s definitely not for you if you aren’t a fan of sesame – the scent is really strong but it provides enough sun protection for me (SPF 10) while not messing up my base too much. I’d only really use this in England though, it won’t provide enough protection for holiday wear. The Lush toothy tabs have really exceeded my expectations. Marketed as ‘natural, solid toothpaste’ I was a bit skeptical, as it seems quite gimmicky. You grind the tablet with your front teeth, and then start brushing. A foam develops, and it makes your mouth feel like you’ve just been to see a dental hygienist (minus the awkward chats with the receptionist). I’ve included my Misfit Shine (which I reviewed here) because they recently did an upgrade, and now it syncs to My Fitness Pal which made me more happy than it should have. 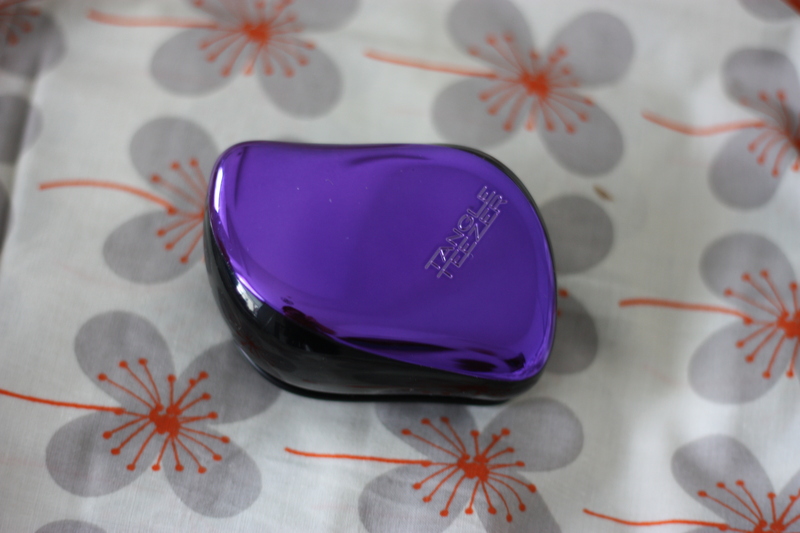 I’ve succumbed to the charms of a compact, travel version of my tangle teezer. If your hair is as monstrously thick as mine, I definitely suggest one of these for travel, or for your handbag: it’s kept me presentable! 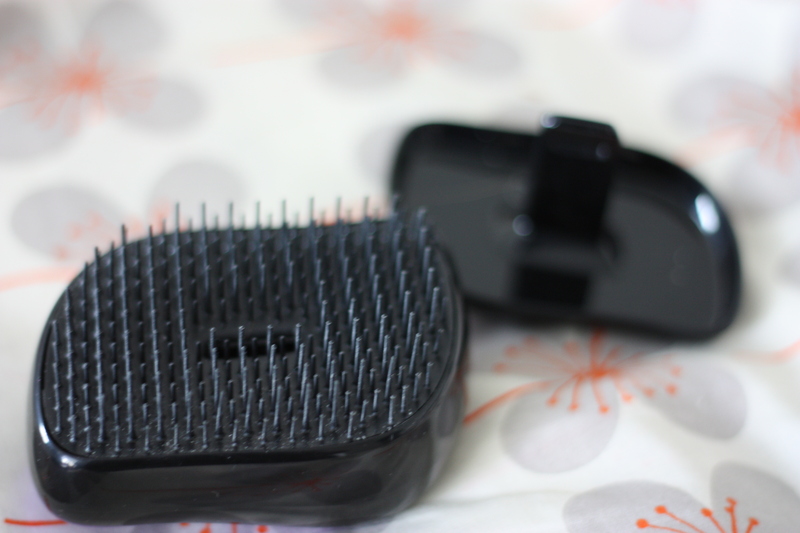 One of these is a freebie, and the other is from my latest Glossybox. I’m definitely going to have to invest in the full-size version of the Too Faced Bronzer because IT SMELLS LIKE CHOCOLATE! If that’s not a reason to buy bronzer then I don’t know what is. (It’s also great for contouring). The Glossybox branded Kryolan highlighter also made it in to this list because it’s the first Kryolan product I’ve tried. I’d only ever heard of the brand before because I have an unhealthy obsession with RuPaul’s Drag Race, and they were once a sponsor. This highlighter has been great, and I can’t wait to see what else they have to offer!